Iraq's latitude and longitude is 33° 00' N and 44° 00' E . Below is the map of Iraq showing major towns, roads, airports with latitudes and longitudes plotted on it. The geographical alignment of Iraq suggests latitude of 33° 00' N and longitude of 44° 00' E.
The definite latitude of Iraq signifies its position in Northern Hemisphere and its moderate distance from the equator. The country of Iraq is bounded by Persian Gulf, Iran and Kuwait. 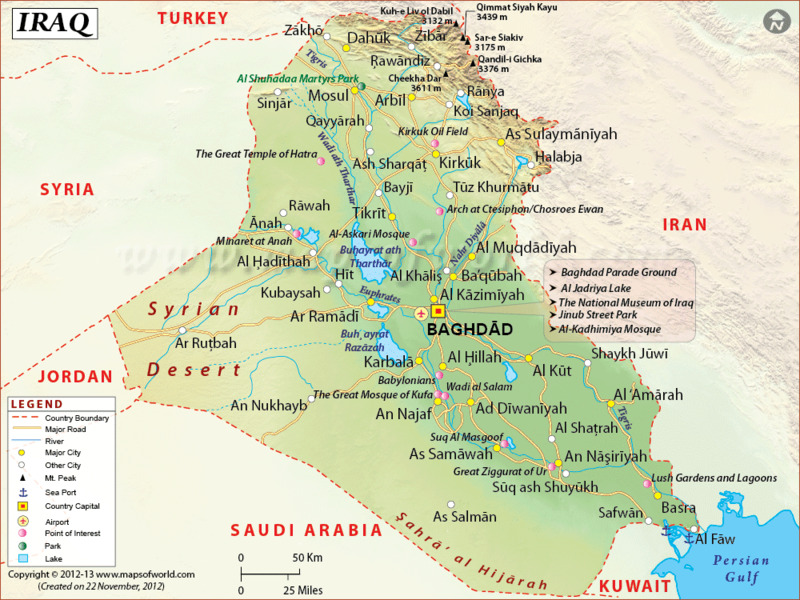 The country of Iraq includes 1,648,000 square kilometers of area in the Middle East. The terrain is featured with by and large wide plain lands, high marshlands beside Iranian boundary towards south with great inundated regions. There are mountain and crag ranges all along the boundary line with the countries of Iran and Turkey. The climatic condition of Iran is featured with extreme diverse weather. Summers are cloudless and arid while the winters are gentle and cool. 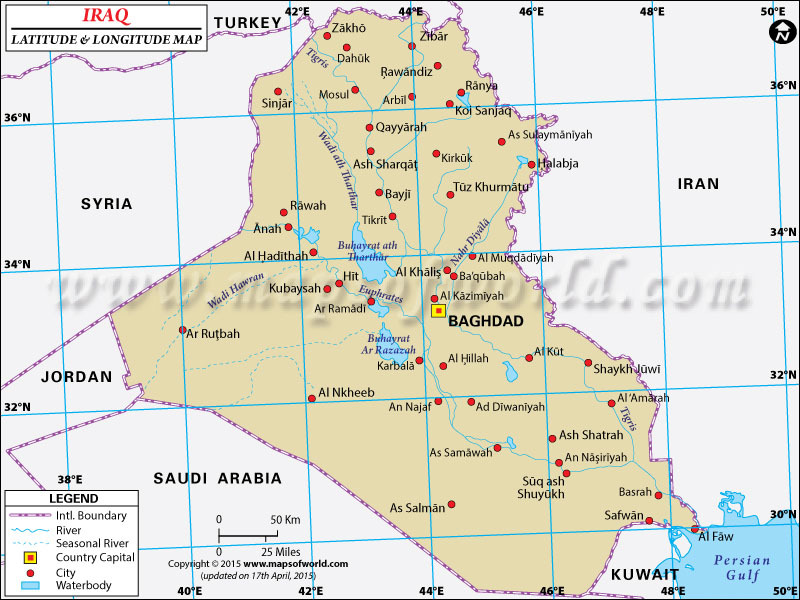 The latitude and the longitude of Baghdad the capital of Iraq are 33° 21' S and 44° 25'E respectively. The difference of time is noticed as UTC+3.